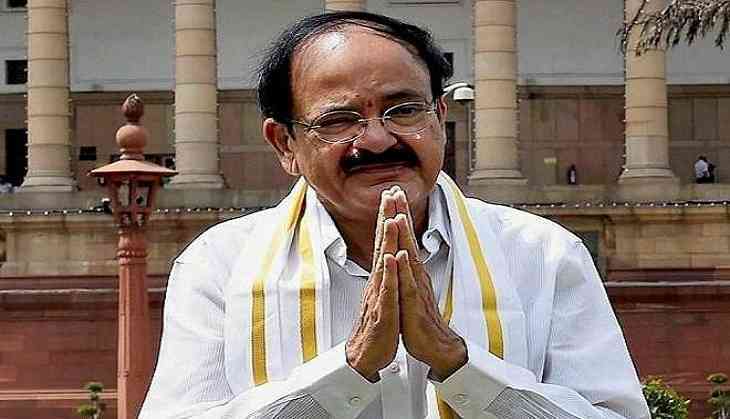 Vice President Venkaiah Naidu opined that the Emergency period should be included in the curriculum at educational institutions across the country. "Emergency, which is the darkest period of Indian democracy, should be a part of the curriculum so that present generations get to know what was Emergency. How was it imposed? Why was it imposed? We have to educate the people on it," Naidu said at the Vivekananda International Foundation here on Monday. "After the resounding pro-democracy verdict of the people of our country, I am confident that no sensible government would dare to repeat what was done during the fateful night of June 25, 1975(Emergency)," he added. Naidu was speaking at the release of the Hindi, Kannada, Telugu and Gujarati editions of former journalist and Prasar Bharati chairman's A Surya Prakash's book, 'Emergency: Indian Democracy's Darkest Hour'. Earlier in the day, Prime Minister Narendra Modi said the country remembers the Emergency as a 'dark period', during which every institution was subverted and an atmosphere of fear was created. The Prime Minister also saluted the courage of those who steadfastly resisted the Emergency, which was imposed 43 years ago. Officially issued by President Fakhruddin Ali Ahmed under Article 352 of the Constitution due of the prevailing "internal disturbance", the Emergency was in effect from June 25, 1975, until its withdrawal on March 21, 1977. The order vested upon the Prime Minister the authority to rule by decree, allowing elections to be suspended and civil liberties to be curbed. The final decision to impose an emergency was proposed by Indira Gandhi, agreed upon by the president of India, and thereafter ratified by the cabinet and the parliament (from July to August 1975), based on the rationale that there were imminent internal and external threats to the Indian state. The Emergency is considered to be one of the most controversial periods of independent India's history.